This lightweight, mid-warmth, and full zip, the Cam Hoody combines climbers' favorite sweatshirt-style sportswear with abrasion-resistant details that work hard at the crag and kick back on the couch. 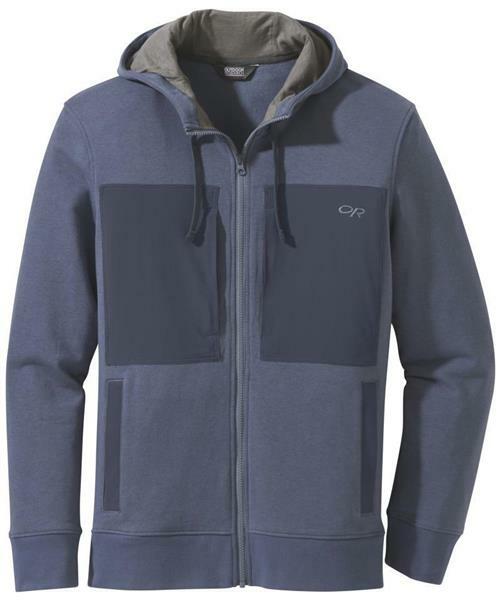 A cotton/nylon/Cordura knit blend makes the Cam Hoody easy to grab for its comfort, and even easier to keep on because of its breathability and quick wicking capabilities. Each pocket is constructed of the best-selling, award-winning soft shell Ferrosi fabric for extra durability against your harness, rack, and rope.